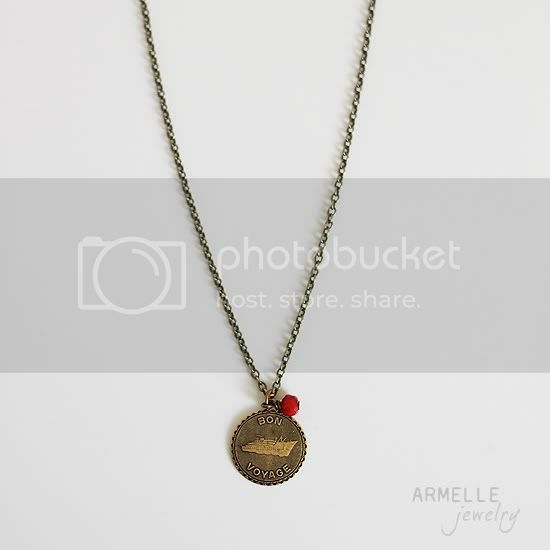 i have a few fun new charm necklaces that will debut at the bijou market tomorrow along with some of the classics from the oh la la collection.i love the bon voyage charm! it would be a darling gift too! 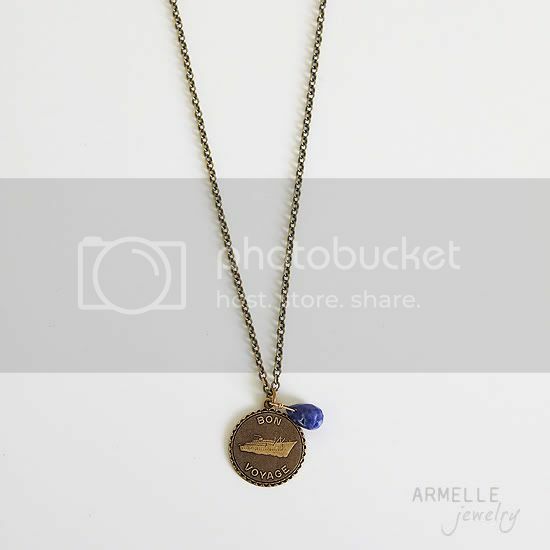 and, only $18!i’ve listed a few of these in my armelle jewelry shop as well. I've been stalking your blog for a while now (there's just no way to make that sound not-creepy, lol)…I think I found it through Norah's nursery tour on Ohdeedoh. Anyway, I just realized that I have one of your necklaces! My husband gave me the "Going Steady" necklace for Christmas last year. Isn't that neat? Small world! Aw, what fantastic necklaces! The Bon Voyage one would be perfect to give to a friend who's leaving to go abroad.